Welcome to beautiful Lake Gaston. Spanning 34 miles and covering five counties in southern VA and northern NC, Lake Gaston boasts more than 350 miles of beautiful shoreline. The North Carolina counties include Warren, Halifax and Northampton counties and the Virginia counties are Brunswick and Mecklenburg counties. 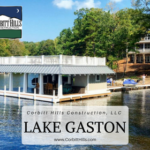 Lake Gaston was created some 50 years ago as a hydroelectric power source and is owned by Dominion Power. Dominion regulates building along the shoreine and lake water levels. The controlled water levels and shoreline regulations create one of the BEST lake experiences around. Projected water levels at Lake Gaston may change due to weather (e.g., rainfall), customer electric power demand, operations at the upstream Kerr Reservoir project, and various other conditions. These changes may occur at any time and without notice. The Roanoke Valley includes Lake Gaston, Kerr Lake, Roanoke Rapids Lake, and the Roanoke River. 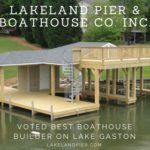 The towns of Henderson, South Hill, Warrenton, Littleton, Roanoke Rapids and Weldon all serve the lake. 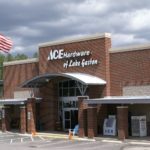 Local conveniences and postal services are provided to Lake Residents by the Townships of Boydton, Macon, Littleton, Bracey, Ebony, Henrico, and Valentines. The Eaton Ferry Bridge is the mid-point of the lake and the site of several local events, including The Crossing each August and the Big Air Water Sports Fair each June that features local, regional, and national water sports talents, and The Pointe at Lake Gaston also provides weekly entertainment year round at Eaton Ferry.